In the last nine years, the Israeli binary industry has flourished and at its peak, was said to have brought in an estimated $5 billion to $10 billion in revenues per annum to over 100 companies operating in Tel Aviv and other cities in the country. The industry has also been a large employer of labour, providing employment to tens of thousands of people. The industry was not limited to binary brokers. Call centre operators, affiliates, web designers, programmers and marketers, were some of the professionals employed by the industry as well. However, many operators in this industry were accused by a local news organization of running elaborate scams and defrauding boat loads of investors of their money. In recent months, the Israeli government has taken very strong moves against the entire industry. There have been numerous arrests, and with the passage of a new law prohibiting binary options which calls for a 2 year prison sentence for defaulters, binary options trading in Israel has changed forever. The latest moves to ban the marketing of binary options to foreigners is a death knell for those companies operating in Israel. In one year, several brokerages have shut down and others which have been implicated in trading malpractices are being raided by authorities. The environment for binary trading in Israel is presently a very difficult one. The best brokers for binary options trading in Israel are offshore brokers. At the moment, marketing of binaries to Israeli citizens by offshore brokers has not come under any prohibitions (as is the case in France, Italy and Belgium). It should be ok to trade with an offshore broker. The selection of a broker has to be done carefully. You have to make sure you can deposit and withdraw funds without hassles. 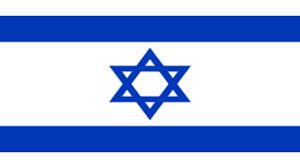 Here is a list of brokers that can be used by Israeli citizens to trade binary options. The binary industry in Israel is presently unregulated, but that is all about to change. The Israeli government has accepted the recommendations of a ministerial legislative committee on the amendment of the existing securities law, to prohibit the marketing of binary options to foreigners by Israeli companies. The amendment to this law is awaiting approval of the Israeli parliament before it becomes permanent. If this comes into effect, Israel will follow the examples of Japan, Australia and The United States in enacting a regulatory law which prohibits cross-border binary transactions. This move comes on the heels of some unsavoury events in the industry in Israel, where unscrupulous brokers used the lack of regulation to swindle several foreigners, including a Canadian citizen who eventually committed suicide as a result. The outrage that followed some of the reports led to frantic calls for the Israeli government to take decisive action. Indeed, some crackdowns and arrests have been conducted across Israel, notable of which is that of Eliran Saada, owner of a binary options firm suspected of fraudulent activity. The restrictions that now exist for trading binaries in Israel will definitely affect the way transactions can be conducted with offshore brokers. Bank wires: Bank wires are a universally accepted option for most traders, no matter the country of origin. This is an option that should be explored by those trading in Israel. It remains to be seen how the new laws will affect banking transactions between Israelis and offshore binary companies. Credit/debit cards: Cards issued by MasterCard and other credit card companies can be used to deposit and withdraw funds. However, a check must be made of country-specific requirements, which can differ from one broker to another. E-wallets: The usage of digital wallets among Israelis is relatively low, when compared to other countries with a good pool of binary options traders. Those who want to transact on international binary options platforms will have to use digital wallets such as Ukash, CashU, Skrill and Neteller. MasterPass digital wallet, which features a digital wallet by MasterCard, is an option which is worth exploring. Is it legal to trade binaries in Israel? The trading of binary options within Israel was banned by the Israeli Securities Authority (ISA) in March 2016. This ban means that they cannot be offered to citizens of Israel by Israeli companies. However, Israeli citizens still trade with offshore brokers. Are binaries regulated in Israel? The offering of binary options to Israeli citizens is prohibited. With the recent proposal to ban the offering to foreigners by Israeli companies, the industry is set to take a massive hit in 2017 and beyond. How to trade binaries in Israel? As an Israeli citizen, you cannot conduct this type of trading with local brokers. The only option left is to trade with an offshore broker.